MORE THAN A JEWELER. MORE THAN A GEMOLOGIST. THE ASA PROFESSIONAL IS THE GOLD STANDARD IN APPRAISING. 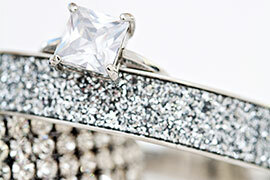 Today’s jewelry market is volatile. Appraisals that were carried out as recently as a couple of years ago may be obsolete. Diamonds and gemstones are highly technical, and require specialized skills and laboratory equipment to appraise properly. The ASA Gems & Jewelry professional is uniquely qualified to fulfill your appraisal needs. ASA Gems & Jewelry (GJ) appraisers are accredited Gemologists. They are trained and experienced in the complexities of the many situations where an appraisal may be needed. They conform to the Uniform Standards of Professional Appraisal Practice, and are trained to provide detailed, competent and unbiased appraisals suited to your appraisal situation. Gems & Jewelry professionals with accreditation from the American Society of Appraisers (ASA) enjoy one of the most prestigious and widely-recognized credentials offered anywhere. ASA Master Gemologist Appraisers® also maintain state-of-the-art gemological laboratories. Their color grading is periodically tested to ensure accuracy in grading colored gemstones. 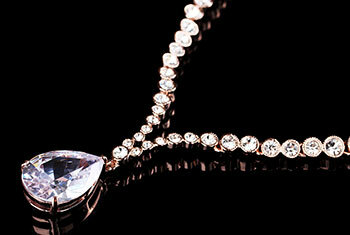 To maintain the Master Gemologist Appraiser® status, they must pass a rigorous practical examination every five years. Jewelry is bought and sold in a number of different market environments and appraisals are needed in a variety of situations. ASA appraisers are qualified by training and experience in all types of appraisal engagements. Different types of appraisals have different definitions of value and usually result in different appraised values. It is important that the appraiser know exactly why you are requesting the appraisal so that you receive information relevant to your intentions. 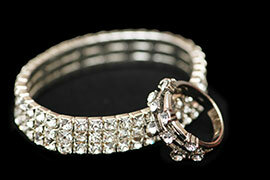 You may have a significant amount of money riding on the ramifications of your jewelry appraisal. Obviously, appraisers who have invested the time and funds to obtain the highest-regarded appraisal credentials, acquire expensive laboratory equipment, and stay updated with continuing education will command a higher fee than untrained non-professionals. ASA GJ professionals keep their appraisals and work files for at least five years. When it is time to update your appraisal, there will be cost savings. There is no logical reason to obtain a less than professional appraisal for a relatively small savings when the consequences can be so expensive.